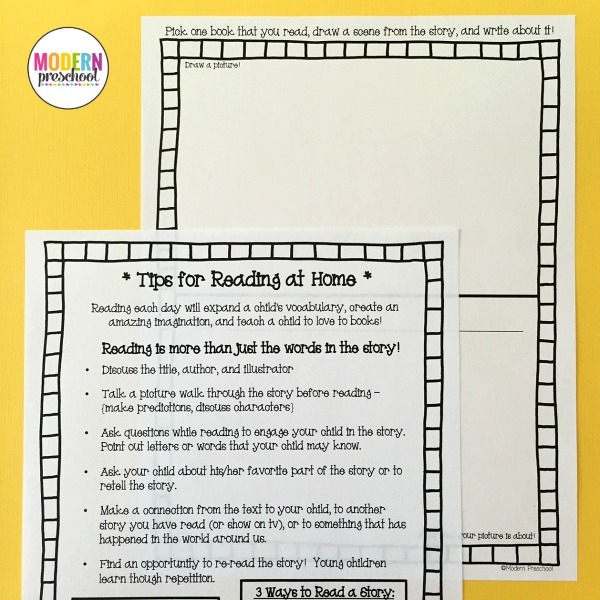 Encourage reading at home with these themed printable reading logs! 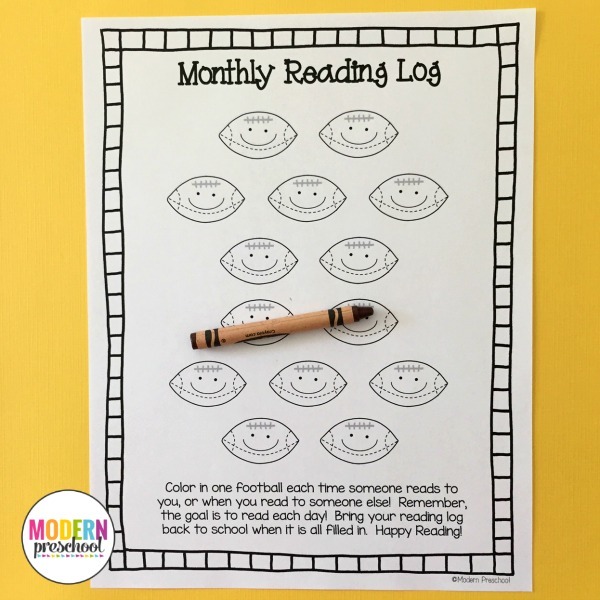 Preschoolers and kindergarteners can easily track their progress each month by coloring their reading log each time they read a book at home. Send home the Reading Tips at Home parent letter with the first reading log to help parents learn how to do more when reading than just reading the words. 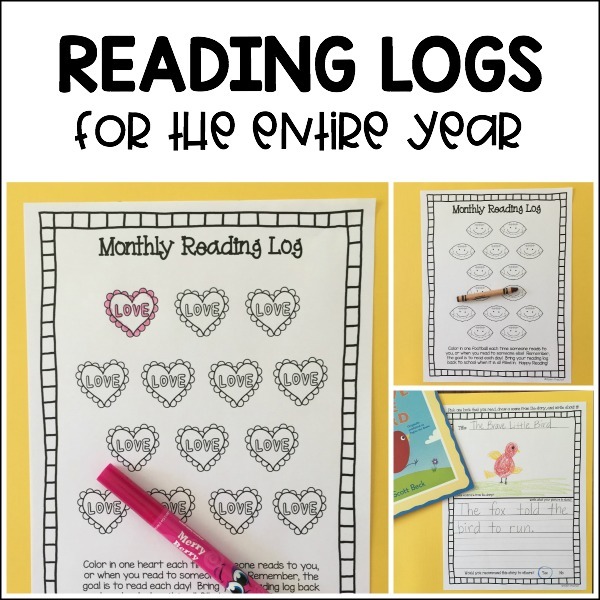 After the reading logs are filled in, students can bring them back to school for a sticker, high 5, or even an award! For older students or during the second half of the school year, consider copying one of the journal pages on the back of the reading log to promote student reading comprehension at home. 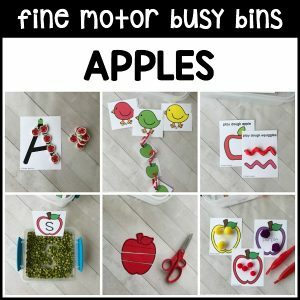 Simply download, print, and send home each month! 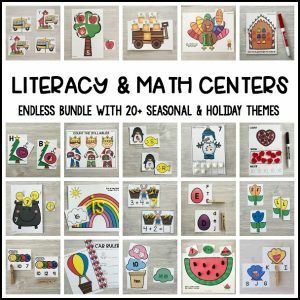 20 seasonal themes offered in this instant download printable file. 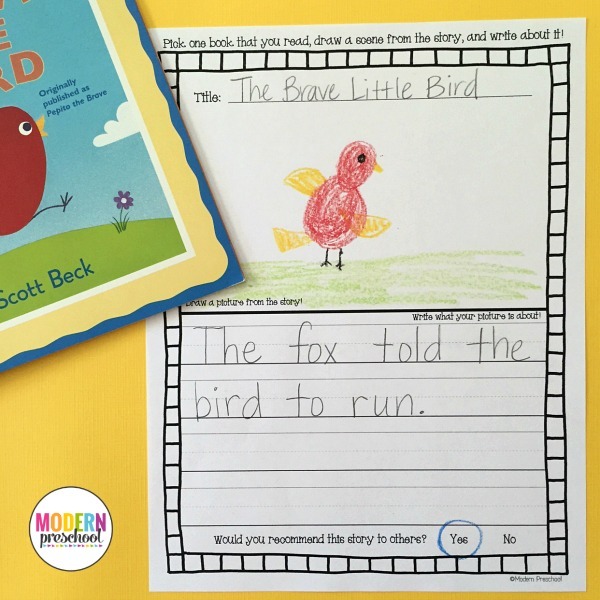 Encouraging reading has never been more fun with these kid-friendly monthly reading logs for preschoolers and kindergarteners! 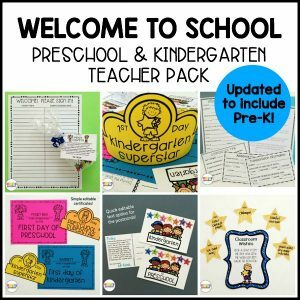 The journal writing pages can also be used for other book writing activities at school or home. 20 themed reading logs are included to allow you to choose themes that interest your child or class! 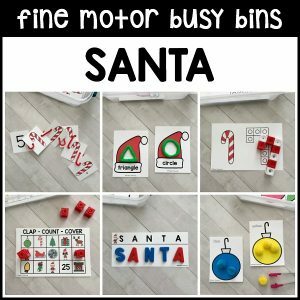 This also allows to avoid holiday themes if needed.